"The product ranges of 95% of researched web shops are not search engine optimised. 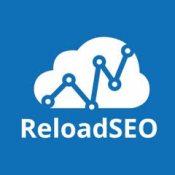 With ReloadSEO, you will overtake your competitors in terms of Google findability"
With ReloadSEO, you will overtake all your competitors when it comes to Google findability. 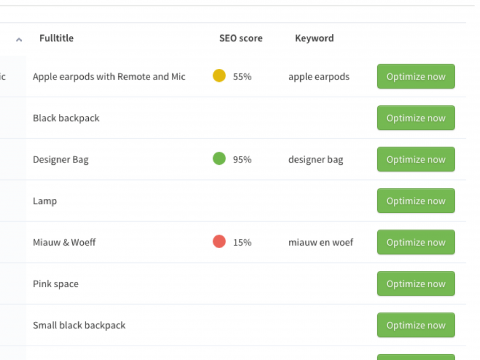 ReloadSEO gives you specific product-level feedback on your product texts. 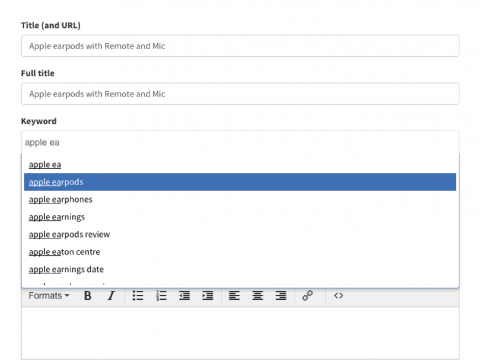 We indicate exactly where you can insert extra keywords. With ReloadSEO, you can make your product range 100% SEO-proof for better findability, increased visitors and more customers (and reduced advertising costs)! 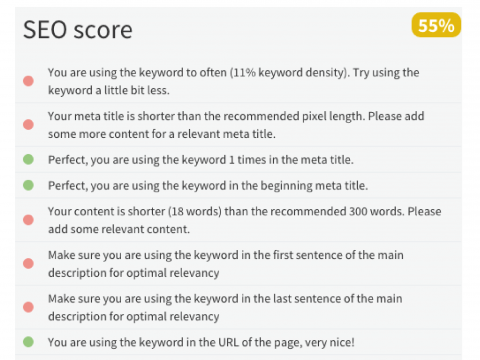 ReloadSEO provides immediate feedback on your product texts using a link to the ReloadSEO system. On the basis of all known SEO rules, your texts are automatically checked in real-time by our algorithm. This means that a percentage per product precisely indicates how SEO-proof your products are. Product texts that have been SEO optimised also achieve a higher Keyword Quality Score in Google AdWords. And this means that the costs per click (CPC) are lower. Higher search engine rankings mean that you are less dependent on advertising. Higher sales thanks to more traffic from search engines. Higher SEO rankings can benefit you for many years. Another Google algorithm update? ReloadSEO will show you exactly what to do to make your product range 100% SEO-proof again. We are 3 online entrepreneurs from Groningen with much experience in ecommerce and SEO. We are delighted that our solution has been associated with SEOshop. To date, ReloadSEO.com has analysed the search engine friendliness of more than 150,000 products. 5001 > products (SKU's) = € 19,95 p.m.
We love getting feedback! Please contact us at [email protected] with your requirements and questions, or for support across the Zendesk platform.